In more of ten years of activity, the Trio has enhanced the great potential of three guitars in the original repertoire the Trio has rediscovered unpublished works by composers of the 19th century; in the field of contemporary music, the Trio has stimulated several authors to compose new works . 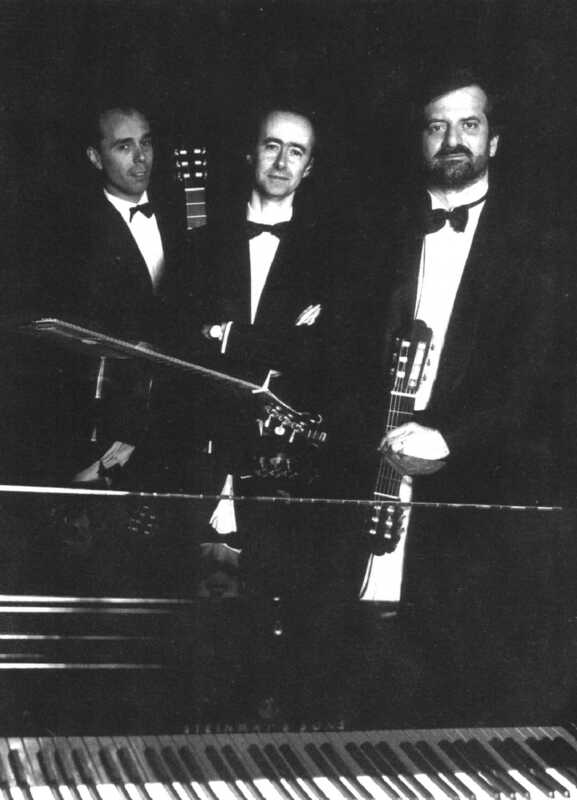 Furthermore, these three guitarists have devoted themselves constantly to a broad project on the use of transcription, seen not only as a means of expanding the repertoire but also of research of the expressive possibilities of the ensemble. Here below you'll find a list of works transcribed or arranged by the Trio. You can pick up and save on your computer some of the pieces to listen to them through your midi player program. Enjoy them!